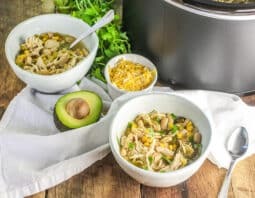 Summer’s over but autumn offers so much to get excited about – like warming up with a bowl of savory slow cooker white chicken chili. 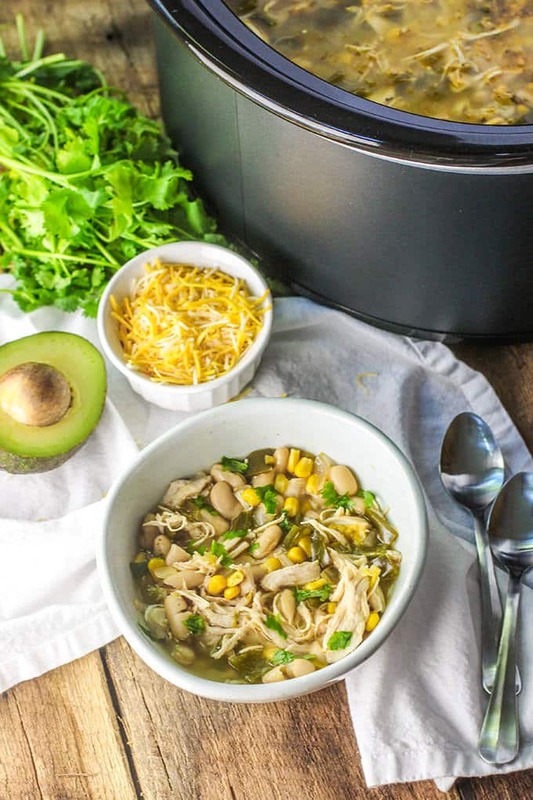 Slow Cooker White Chicken Chili sounds like it’d be a bland, flavorless dish. A lack of color doesn’t mean a lack of flavor though. It’s one of the most flavorful chilis I’ve ever had and it will be a popular dish during cold months. It’s also hearty and makes enough for a crowd. Let’s talk about these flavors. There are layers and layers which make it more delicious the longer it sits. 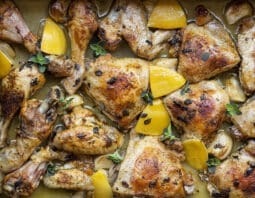 The flavors also build with each bite which is one of my favorite qualities in a dish. You’ve got poblano peppers that hold up perfectly in a slow cooker (we really like this slow cooker)with their thick skins, and green chiles that give off a little heat. The onions and garlic are the aromatics with cumin, oregano and coriander added for some warming spice. My favorite part of the chili might be the smoked paprika. It gives it an earthy and smoky (obviously) flavor that ties it all in. If you’re looking for more heat, I suggest topping it with some jarred jalapeños. You can also serve it with shredded cheese, sour cream and avocados to cool it right back down. Be ready to break out this recipe again and again once you’ve tried it. And if you’re making dinner for a crowd, prep will be a breeze when you pair your slow cooker chicken chili with Grilled Cheese for a Crowd. Combine all ingredients except cannellini beans and corn in a slow cooker. Cook on high for 4 hours or low for 6-7 hours. With 30 minutes left, remove the chicken and shred with forks. 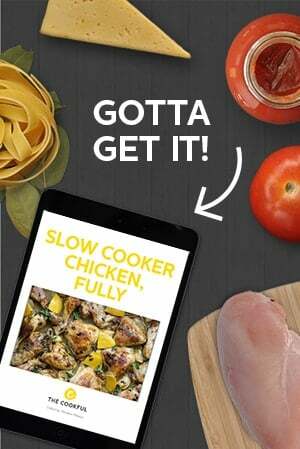 Add chicken back to slow cooker along with cannellini beans and corn. Stir. Cover for remaining 30 minutes. Serve warm.